A stylish gift that is perfect in its simplicity thanks to its top quality products. The Spathiphyllum, or the Peace Lily, is an air-purifying, full-blooming plant that is very easy to care for. Originally this plant came from Colombia and Venezuela, but the plant also flourishes well in many regions. 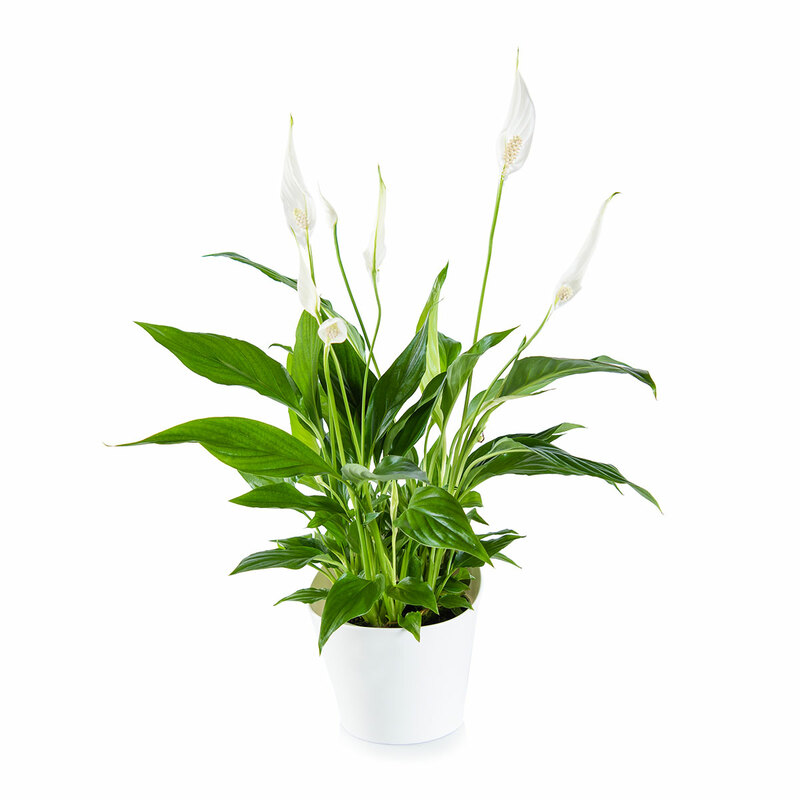 The Spathiphyllum enjoys partional sun or a shady location, but doesn't do well in bright sunlight. The soil should remain moist and the plant's roots may stand in a layer of water. 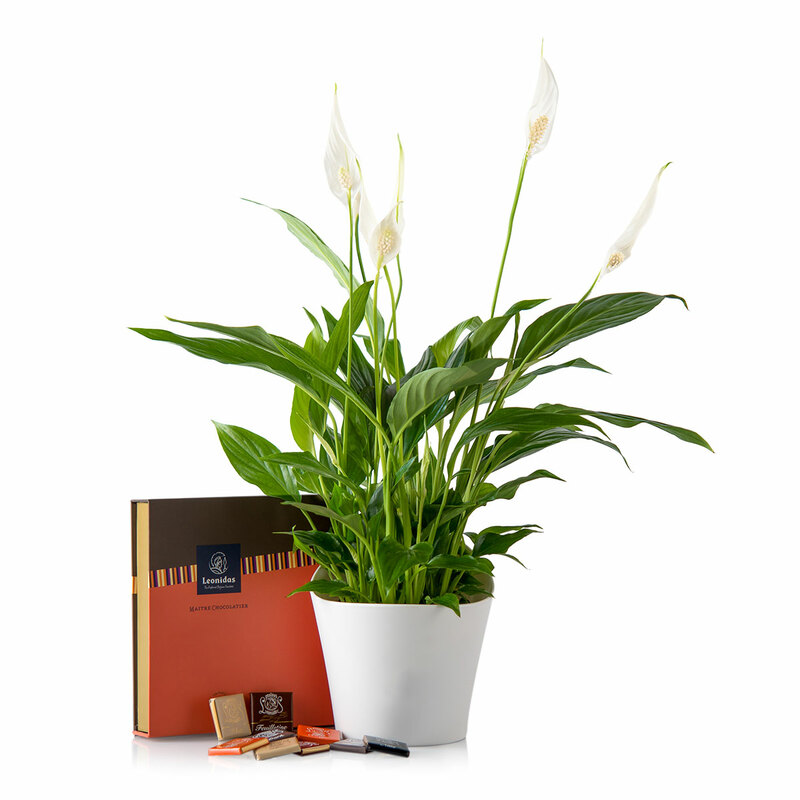 This lovely plant is offered in a stylish Koziol flower pot. Koziol is renowned for its timeless yet contemporary designs. Koziol offers art pieces with practical designs. 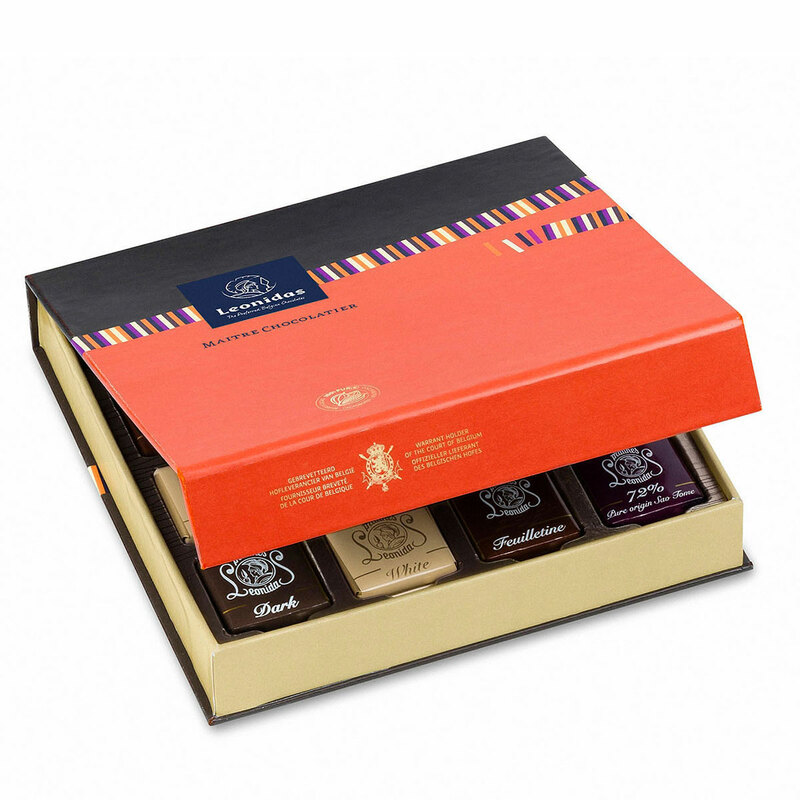 This gift comes with an elegant gift box with delicious Leonidas Napolitains - small chocolate tablets in 6 different flavors: milk chocolate, dark chocolate, dark chocolate 72% cocoa, milk chocolate with biscuits, dark chocolate with cocoa nibs, and dark chocolate with orange.